George Strait one-upped himself during the final night of the Houston Livestock Show and Rodeo on March 17. 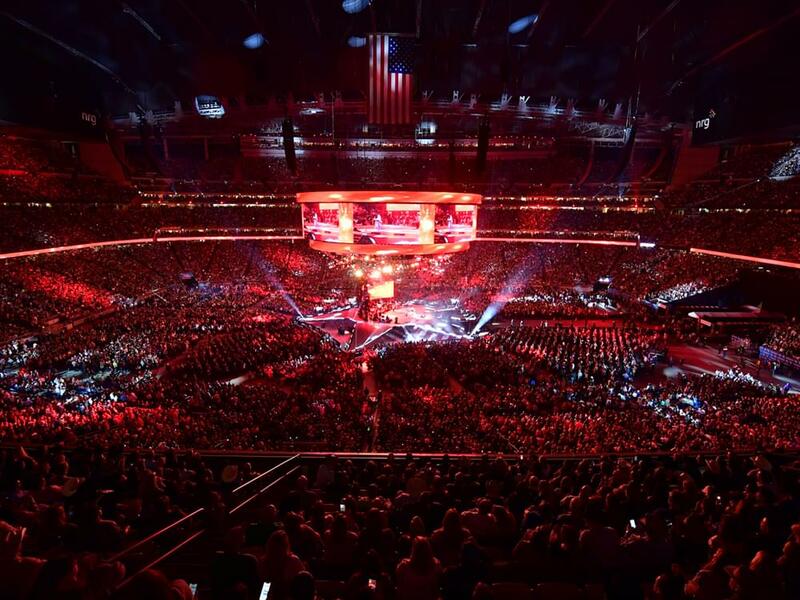 With 80,108 fans in attendance at NRG Stadium, George surpassed the venue’s previous record of 80,020 attendees, which the King of Country set in 2013. Special guests Robert Earl Keen and Lyle Lovett were also featured during George’s performance, which marked his 30th time onstage at the Houston Livestock Show and Rodeo. George will release his 30th studio album, Honky Tonk Time Machine, on March 29. The new album features 13 songs, including 12 originals and a cover of Johnny Paycheck’s “Old Violin.” George co-penned eight of the tracks, including a duet with Willie Nelson, “Sing One With Willie.” Longtime collaboration Dean Dillon co-penned seven songs, while George’s son, Bubba, co-penned 10 tracks.